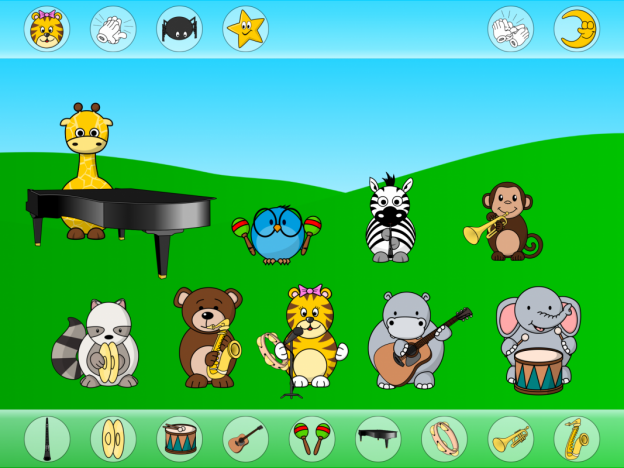 Happy Band is an app designed to make learning musical instruments and the different sounds they make fun. 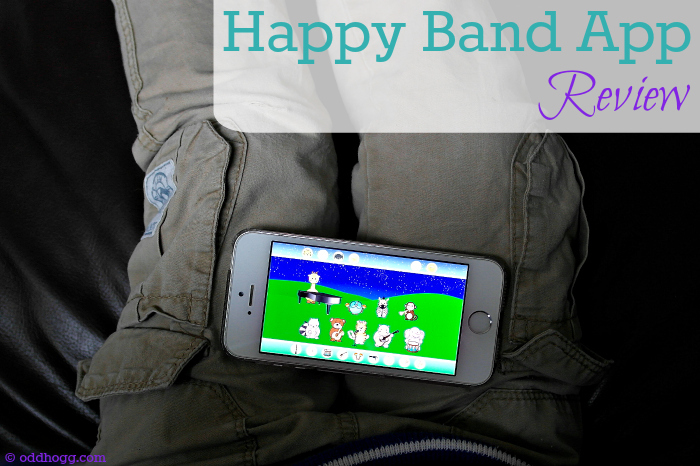 I play 2 musical instruments and think music is a great thing for kids to learn, so when I was asked to review Happy Band I jumped at the chance. Piglet is obviously not able to use apps, so I let my nephews play with it instead. They were more than willing little helpers! The app itself is very simple. The screen shows the 9 characters in the centre, some instruments along the bottom and various buttons across the top. We have the game downloaded onto an iPhone and I have to say it was really quite small and fiddly to play with. I think it would be much better on a bigger screen, its probably more suited to a tablet. We found the buttons across the top difficult to use. They are either slow to respond or there is possibly an issue with the 3 year old phone we were using. It was quite hard to tell! It is a shame though and Biggest really like changing the settings from day to night and back again. The characters a quite cute and certainly appealed to the Biggest. He was probably more interested in them than the instruments or sounds, happily pointing out each animal and saying what he was. You can drag and drop the instruments from the bottom of the screen and try to match them to the right animal that is playing it. Neither of the boys were particularly interested in doing this. I suspect it may appeal more on a larger screen where you can see better, and perhaps to slightly older children. 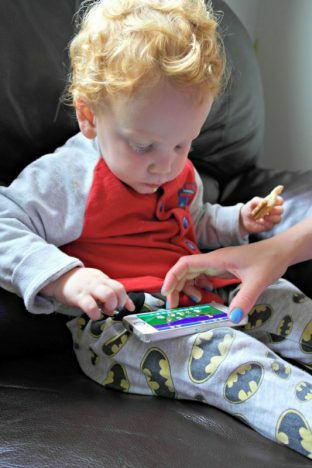 The app is designed for children aged 1 to 5. At 19 months littlest didn’t play for very long. I think the real appeal for him was only that his brother had it rather than actually caring about the game itself. During his turn he laughed a lot though so it certainly entertained him for a few minutes! I think 1 is too young really for the game. I certainly won’t be rushing to have Piglet play with it when he is that age. At 3 and a half Biggest was right in the middle of the target range. It was simple enough that he could play around with it unsupervised which is great for getting 5 minutes peace! I would say that much older than that the game would be too simplistic. The app has a one off cost of £1.49. 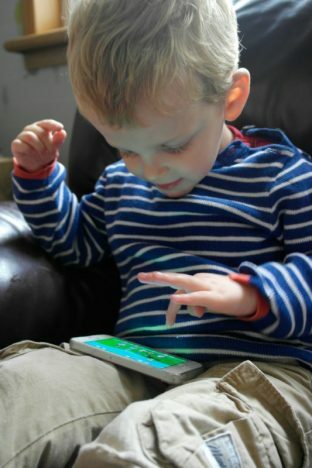 Personally, I have seen free apps that have more appeal to little ones. For the cost of it it is very basic. There is not much functionality for the price you pay. Had there been more features I may have felt differently. We enjoyed playing Happy Band, but I think it either needs some additional features or needs to be a lower price to provide value. Disclaimer: We were given a copy of the game for free in order to review it, however all views are my own. If it wasn’t so expensive then it would be worth it, but I don’t think it can compete at its current price. As you say – too many free options out there!